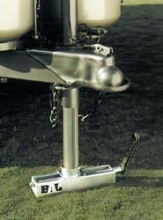 Shop Pro Pride Hitch’s popular products like this BAL Tongue Twister. This product is lightweight and easy to store. At only $35 this premium product is a great deal. Find this product and more truck and trailer hitch accessories online at www.propridehitch.com where you can find the next generation in trailer hitch products.